Tom Leeson, Decom North Sea interim CEO and Pauline Innes, who is collecting the Contribution to Decommissioning Award on behalf of Mark Bayman. Mark Bayman won the Contribution To Decommissioning accolade, but was unable to attend the 2018 Decom North Sea (DNS) Awards to collect the prize. He recently retired from the position of decommissioning manager (technical) at the Offshore Petroleum Regulator for Environment and Decommissioning (Opred). Sitting within the UK energy department, Opred regulates the decommissioning of offshore oil and gas installations and pipelines. Mr Bayman spent 35 years in the oil and gas industry, having cut his teeth as a process engineer working on various UK projects in the 1980s, including the Brent field redevelopment. He had a number of international roles in the 1990s with Kerr-McGee and Hess before returning to the UK to work on the Quad 204 and Clair Ridge projects. His track record also includes late life asset management for EnQuest in the North Sea. More than 180 people attended the prestigious new awards at Aberdeen Exhibition and Conference Centre. Warrington-headquartered oil service firm BiSN triumphed in the outstanding innovation category for its Wel-Lok M2M well sealant technology. The excellence in collaboration award was presented jointly to Shell, Boskalis and Veolia-Peterson. DNS interim chief executive Tom Leeson said: “As Mark steps down from his role at Opred, it is wholly appropriate to recognise his significant contribution to both the decommissioning sector, the wider industry and Decom North Sea. 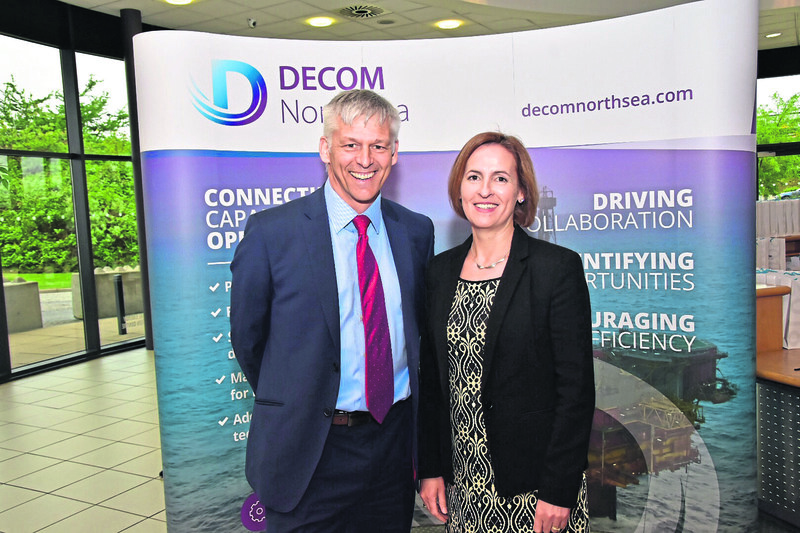 The evening also saw the announcement of Decom North Sea’s new decommissioning leadership group, whose members will drive industry body’s objectives.